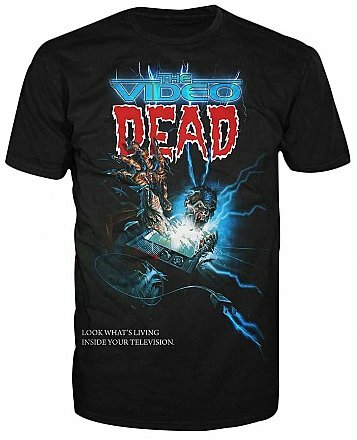 The Video Dead Shirt! Look what's living inside your television. The living dead are here! This fantastic full print shirt featuring the artwork from the classic Video Artwork poster art! It's electrify awesome!